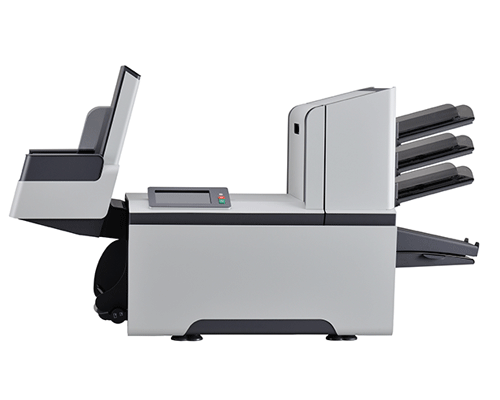 The DS-75i Mid-Volume Inserter has the technology needed to handle a wide variety of business mailings at speeds up to 3,800 envelopes per hour. It can process checks, multi-page invoices, letters, legal-size documents, inserts and business reply envelopes. 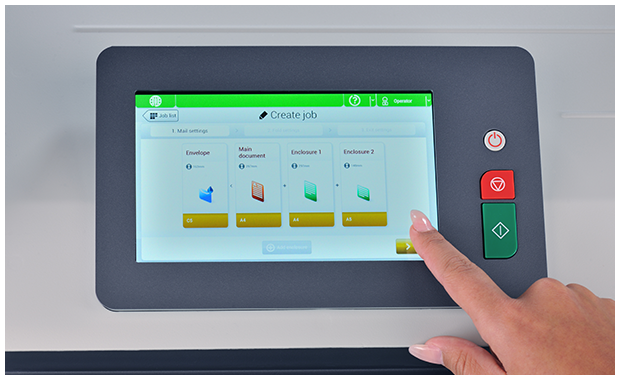 The 7” color touch screen simplifies operation with wizard-based programming. Recall up to 50 jobs stored in memory or create new jobs with ease. 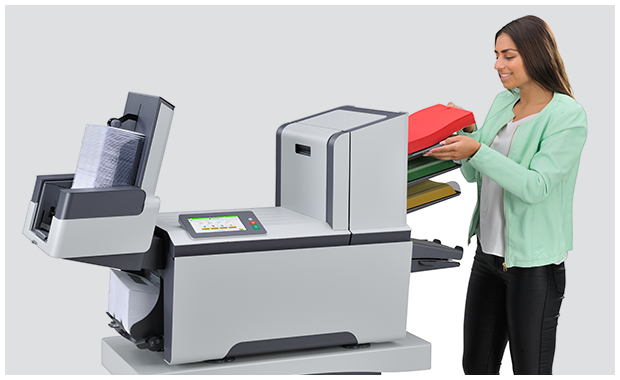 Load documents and envelopes, press start and the DS-75i automatically measures the materials and sets itself up for easy operation. Continuously feed up to 975 documents using three standard feeders in cascading mode. Increase capacity to 1,200 sheets with an optional high-capacity feeder. Utilize the vertical output stacker for quick unloading of up to 500 filled envelopes. 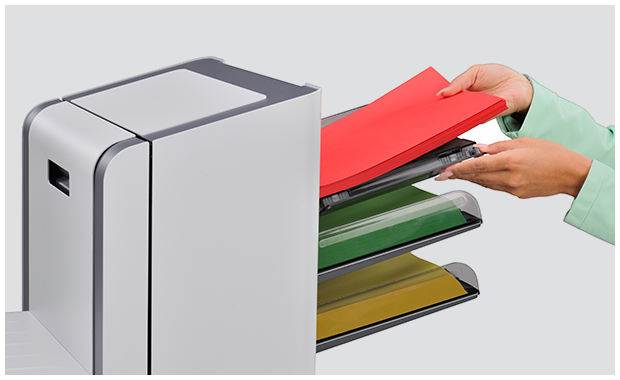 Document feeders accommodate a wide variety of material combinations from full sheets to short inserts. Exclusive feeder technology prevents double document errors. The barcode scanner reads codes, printed anywhere on the document, allowing you to process variable-page document sets and selectively include enclosures with absolute accuracy.